Cooking Naturally aims to change people’s use of food resources, reducing waste by creating a direct channel between people and the information cloud surrounding the theme. 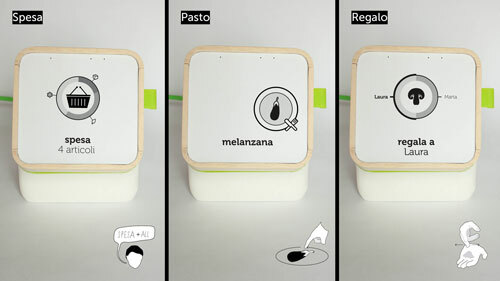 All, a kitchen device that allows a better exploitation of this information, is both a display appliance and a filter which adapts its behaviour according to the user’s habits. It is designed for people living in shared accommodation or alone. Due to their living conditions and lifestyles, and to how food is currently distributed and sold, these are the categories most exposed to food waste. Through All, such people can receive advice on grocery shopping and food conservation, preparation and consumption. As it is used, All learns to recognize its users, improving the advice depending on each individual’s behaviour. All is used in the kitchen during food preparation and consumption. 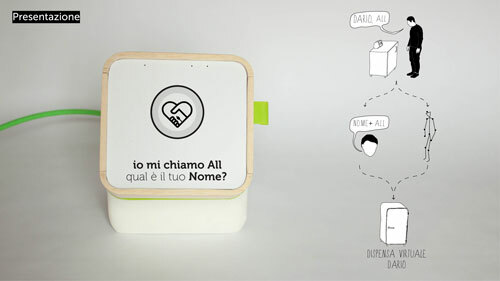 It can recognize the person using it and understand words and gestures. All integrates itself in the habitual dynamics of this environment. Making people concentrate on normal tasks, like preparing a recipe or conserving food, it becomes a tool that improves the experience of responsible cooking, not the focus of the experience. This thesis report describes how the Cooking Naturally experience was invented in relation to All, the interactive device. It reports the observations that followed an analysis of the development of the tools used in the kitchen, and how people changed in relation to them, focusing on the new possibilities offered by information technologies. It also describes how the project developed, including interviews with potential users, analysis of official documents on food resources waste, and the creation of use scenerios, personas and study models. 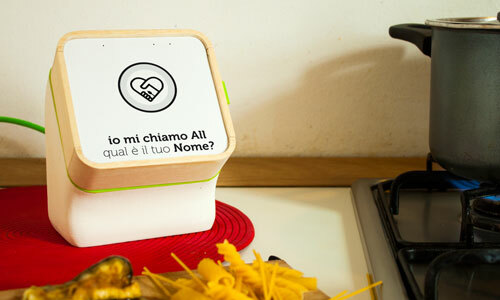 The entire research aims to define a possible new development of special-purpose devices for the kitchen, able to take advantage of the information cloud generated around food and gastronomic culture of every social group. More info on the Cooking Naturally website and my online portfolio.